FIFA have announced the finalists for The Best FIFA Men's Coach Awards, with their annual ceremony set to take place in London on September 24. The first shortlist was made up of 11 managers, and the likes of Massimiliano Allegri, Pep Guardiola, Diego Simeone and Gareth Southgate had been included. However, the list has since been whittled down to three. 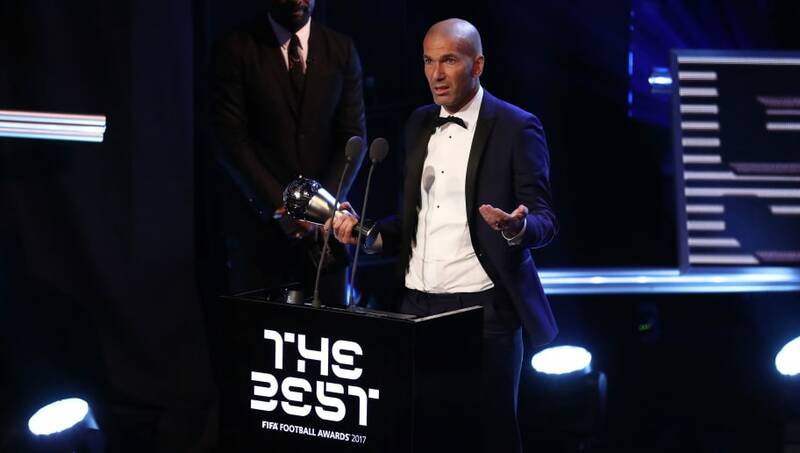 France legend Zinedine Zidane won the award last October following his exploits with ​Real Madrid, and he is among the final three yet again, having lifted the Champions League trophy with Los Blancos at the end of the season for a third successive time. His countryman Didier Deschamps also headlines the final selection. Deschamps led France to the summit of World football this summer as they won the World Cup for the second time in their history. The 49-year-old won the trophy with France as a player in 1998 and, 20 years on, coached his country to World Cup glory in Russia. Given his achievements with Les Bleus this summer, he seems the favourite to go home with the award, but Croatia coach Zlatko Dalic has also made it to the final three. The latter took the Vatreni to the World Cup final, where they were bested by the French. Yet Croatia's run to the curtain closer was nothing short of spectacular. And their main man, Luka Modric, won the Golden Ball for his incredible performances throughout the tournament. As mentioned above, the award ceremony will be hosted in London later this month. And, given that 2018 has been a remarkable year for football, it should be quite the show.